➡️ You know the habit…the one that you REALLY wish you could change or break or smash into a million pieces. Right. THAT habit. How about giving that change you’ve been wanting and meaning to do a trial run for the next week? Take the next 7 days to challenge yourself to FINALLY kick a habit to the curb or add in a habit that will enrich your well-being. Because the whole point of a challenge is to push us out of our comfort zone. If something is driving you nuts, then use this week to change it! If it doesn’t work, at least you’ll know you gave it a shot, right? Habits require routine, so committing to trying or subtracting a habit for one week is a great way to start that new routine. After trying this for one week, you can re-evaluate whether this habit change or routine shift is for you. We can do anything for a week. List the habit you want to add or subtract on paper or in a note on your phone or in a post on a social media account. This is about accountability. Why do you want to make this change or add this new routine into your life? How will the new habit or routine change benefit you in your journey? What day or days will you focus on this habit or behavior challenge? Want to fill those questions out on an action form? Download my January worksheet here. Click the link below to download this week’s tracking grid. Here’s a great article from WW Canada: How to change your habits: 4 easy steps to success. 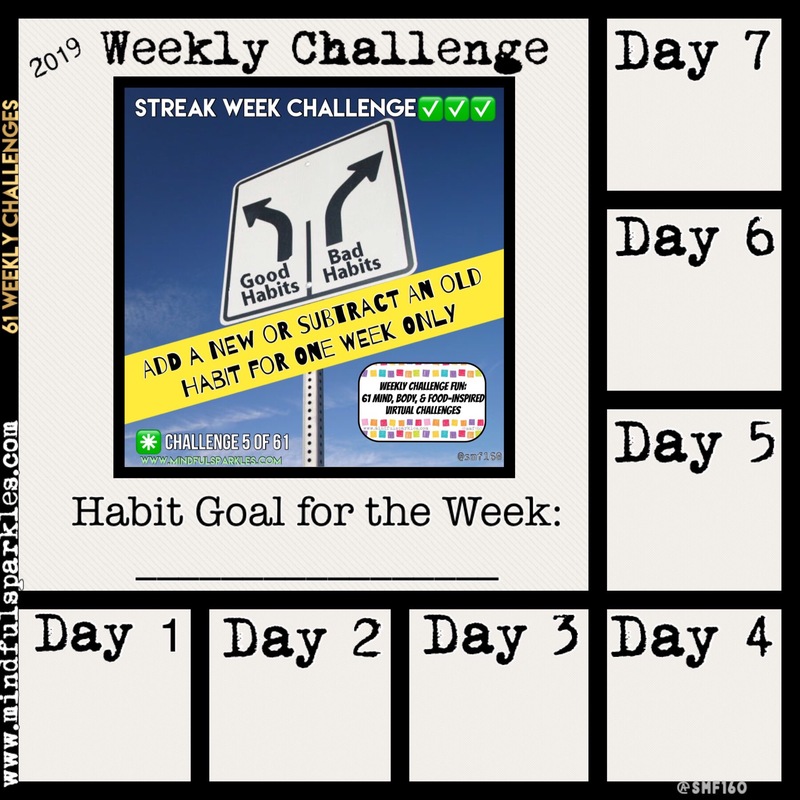 📲Need a habit tracking app? 🎯 Search your cell phone’s app store or here is a list of 6. I have tried Steaks and Strides and like both apps. Just depends on whether this kind of tracking is useful to you. ✅ So, let the habit-kicking-habit-adding week begin! It’s one week…remember that you are capable of great things.